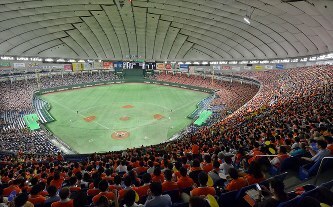 For the first time in 36 years,　NTT East Japan representing Tokyo Region whitewashed Nippon Transport from Saitama City 10-4 at Tokyo Dome on July 25, 2017. The 88th edition of the elimination tournament by 32 teams lasted for 12 days since July 14. Thanks to a strong batting lineup, Team Tokyo registered .329 batting average which surpassed the highest record of .313 in 2002. Shu FUKUDA contributed to the Team’s scoring average of 6 runs by hitting .550 and won the batting title and Hashido award. In addition to Teams Tokyo and Saitama, Toshiba of Kanagawa region and Mitsubishi Hitachi Power Systems from Yokohama, all in the Kanto region ranked among top 4 out of 32 participating teams. 5 representatives from Kinki region’s fare poorly with only one win by Panasonic from Kadoma City. JR West Japan reached quarter finals for the first time.